A good place to eat hardly goes unnoticed. Here is just some of the press we have received about our food, atmosphere and service. We are always happy to share our press coverage with all of our fans. 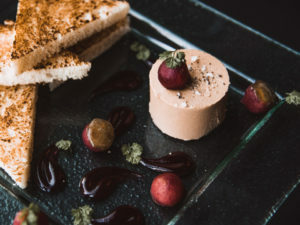 Chef Lon Symensma, known for the pan-Asian restaurant ChoLon, gets back to his French culinary training with this jewel box of a restaurant off downtown’s 16th Street. Dishes such as lobster meunière and lamb chops with potatoes Anna are served alongside old-world wines and wintery house cocktails. The bar is a highlight, and lunch is served weekdays. The menu, planned with and executed by Symensma’s longtime right-hand man, Jeff Stoneking (who also helped open ChoLon, Cho77 and Concourse), is the realization of Symensma’s early years spent in France, Spain and Italy, where he worked in many Michelin-starred gastronomic destinations (his résumé includes a stint in the kitchen of chef Paul Bocuse) and competed for the U.S. team in the Culinary Olympics. 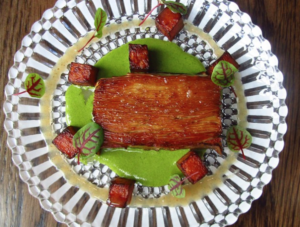 People might be surprised to hear that the focus of Chef Lon Symensma’s next restaurant, LeRoux is entirely European. 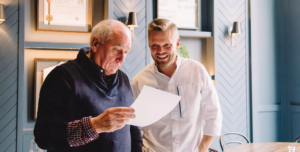 But European gastronomy is by no means outside his wheelhouse, for the first 11 years of chef Symensma’s career (he has been at it since he was 14), he cooked entirely European, working in restaurants across France and Spain. Times are changing on 16th Street, where, by the end of the year, a pair of decades-old neighborhood restaurants had closed and a pan-European destination opened up, looking more Parisian jewel box than Denver’s downtown Mall. 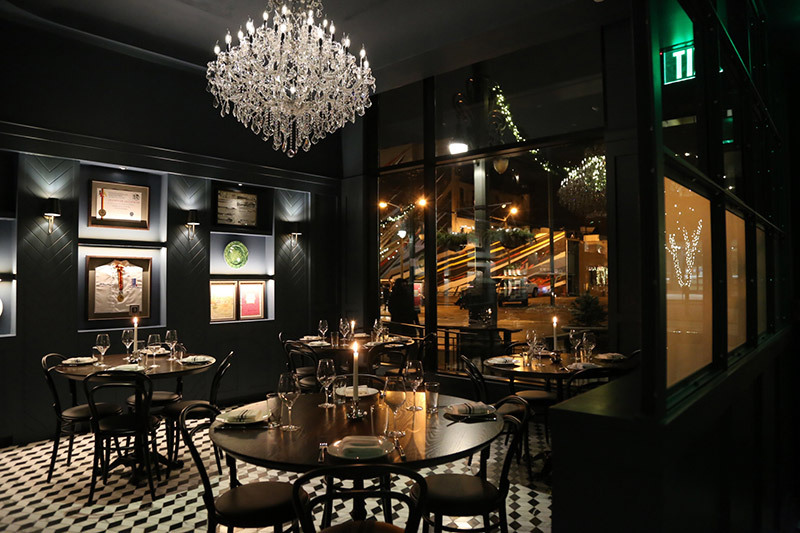 The shared bathrooms inside the newly opened LeRoux and Cho77 were anything but afterthoughts. 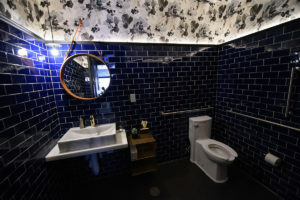 Covered with blue, hand-cut Italian tile and floral wallpaper and accented with copper details, the two unisex restrooms, by local design firm Semple Brown, are sure to be popping up on Instagram feeds all over town. Sparkling crystal chandeliers. Tufted leather. Tall white taper candles flickering on every table. 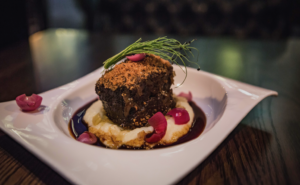 Classic-with-a-twist bistro fare spanning the cuisines of France, Spain, Italy, and Germany. 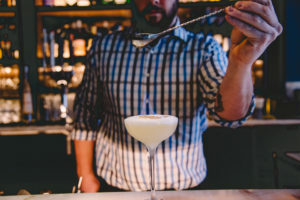 It’s time to drink on the 16th Street Mall again with the opening of LeRoux this season. The new Pan-European restaurant from chef Lon Symensma also features one of the prettiest bars in town now. 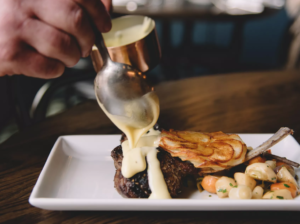 Chef and restaurateur Lon Symensma knows his way around a kitchen, and with his latest downtown venture, the talent really shows off his elegant side.